Have you ever seen a tree in the clouds? Or a cloud of names in a tree? A friend posted a link to a list of the most popular Hungarian surnames (2006). In the top spot is Nagy, the ‘Smiths’ of Hungary. Although, to be accurate,while Smith is the most common English language surname in Hungarian it translates to Kovács, which ranks #2 in Hungarian popularity. 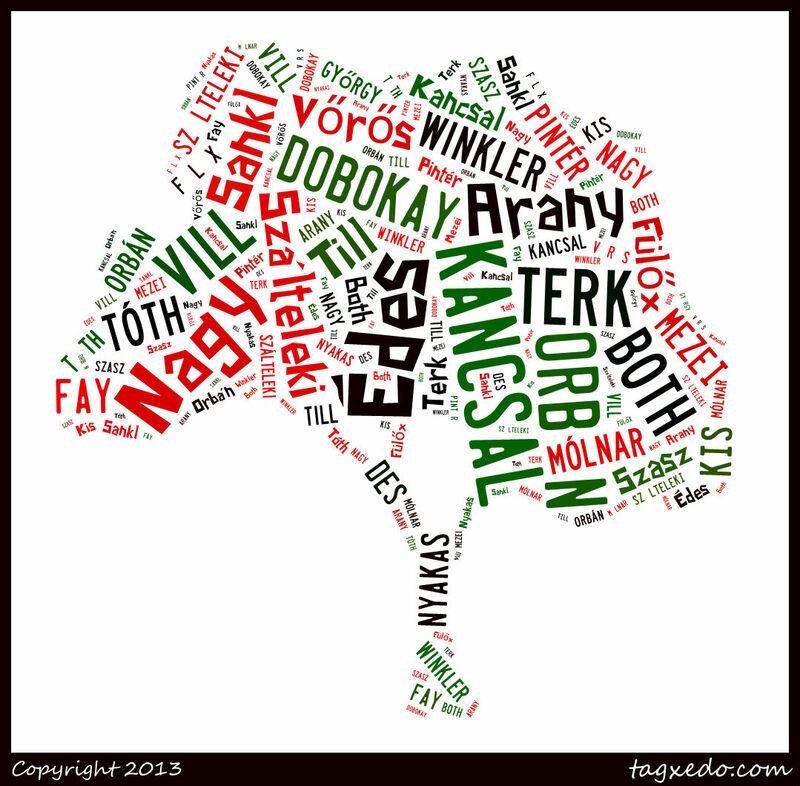 This tree word-cloud shows all the known surnames in our direct line. And that’s the Big (Nagy) and Small (Kis) of it.